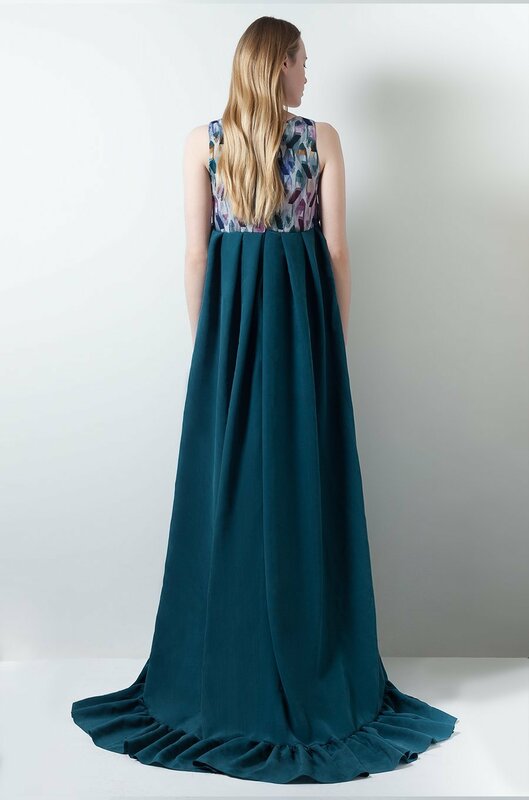 This maxi piece mixes petrol crepe de chine and printed mousseline. 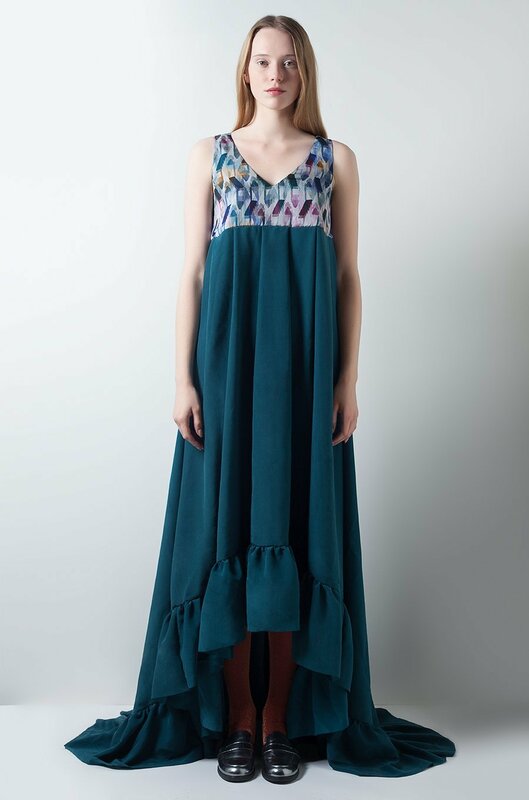 It has an asymmetric ruffle trimmed hem. It is designed for a loose fit. Style it with high heels and a clutch bag.